A Ducktrinor Mom Featured in Dallas Child! Surprise! is an original children’s book story based on a real Muslim family. DALLAS, TX-August 3rd, 2017. DJARABI KITABS PUBLISHING will be officially releasing ‘Surprise!’ a new children’s book in paperback format by Zaheera Jina on August 27th, 2017 in the USA and on August 26th, 2017 in South Africa. The eBook version is already available to purchase on all Amazon platforms. The author shared her reasons and motivations for writing her first children’s book. “Surprise! is a story about my own kids. It goes through their evening time rituals to get them ready for bed. For me it's a gift to them, to capture these important moments and treasure them.” — Zaheera Jina, Editor of The Samosa Express. Surprise! has received a myriad of praises from many acclaimed authors. “The Surprise is beautifully captured in a story of love that will keep every child hooked until the very end!” — Author Dharmisha Cvetcovik, Geza and the Bee, Who am I? Join DJARABI KITABS PUBLISHING and Dr. Zaheera Jina from August 26th to August 30th, 2017 for the book launches and blog tours. Dr. Zaheera Jina holds a PhD in Mathematics Education from the University of the Witwatersrand in South Africa. She is also the co-editor and contributing author of the anthology titled: Riding the Samoosa Express: Personal Narratives of Marriage and Beyond. Zaheera is the founder of the Jozi's Books and Blogs Festivities (Jozisbbf), a non-profit organisation that projects to cultivate a culture of reading and writing in South Africa through various literary events. "Surprise!" is her first children's book and will be published by Djarabi Kitabs Publishing. Zaheera is presently compiling the second Samoosa Express book which is a Muslim Woman's Guide to Marriage. She lives in South Africa with her husband, two sons and many in-laws. 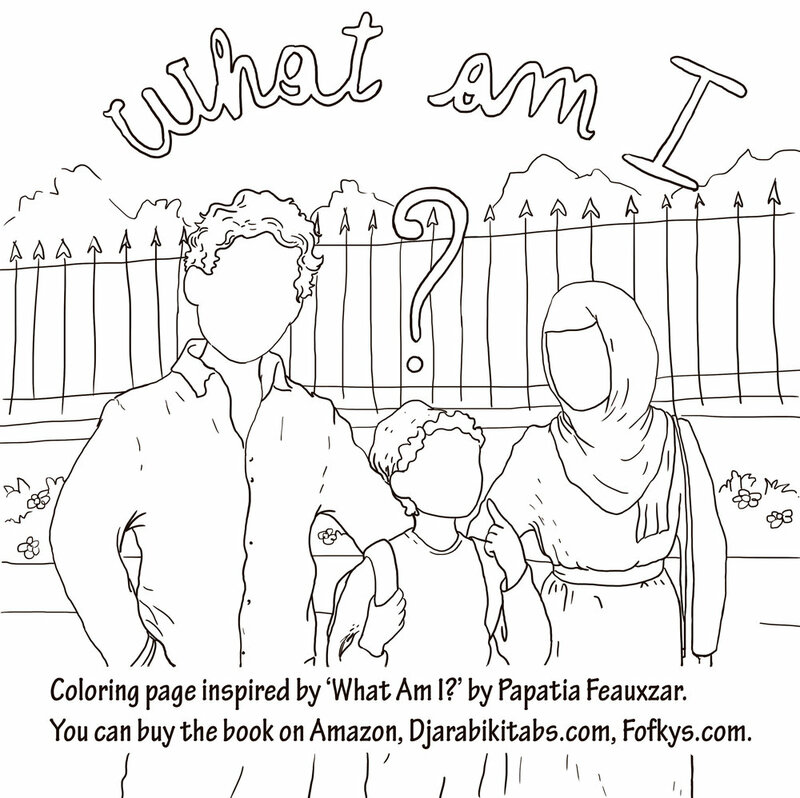 My first children's book 'What Am I?' is out! Alhamdullilah. - The paperback on the other hand is not free so make sure you pick eBook for a freebie. – If you don’t have a Kindle, you can download the app for your device. Jazak’Allah khair for peaking here and supporting the work. Please leave a review.